1) All standard and made to order sizes available. 2) Ideal for calculating cricket, hockey or foootball game scores. 3) Information entrance in board completed through LCD keypad or modified programming through workstation by means of serial port. 4) Data storage capacity available. 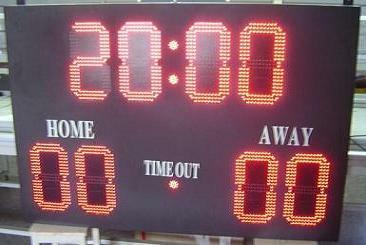 5) High bright FnD / LED used in all boards. 6) Clear visibility even at day time. 7) Extraordinary messages can likewise be demonstrated through a LED moving message strip. 8) Input 230V AC – 50 Hz.